Threading is an ancient hair removal technique that has been used for thousands of years. What is so great about threading? The answer depends on each individual and how fast their hair grows. For most people, the results last from anywhere between 2-5 weeks. 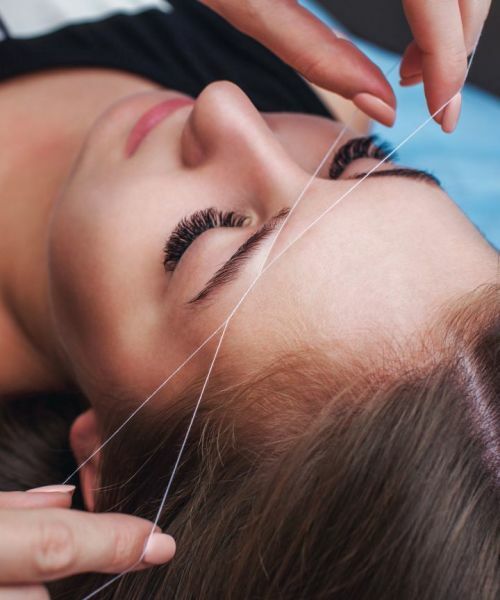 Another thing to take into account is that threading weakens hair follicles, causing growth to be less dense over time. So the more you get your eyebrows threaded, the finer the hair will grow in and the less often you will have to thread.